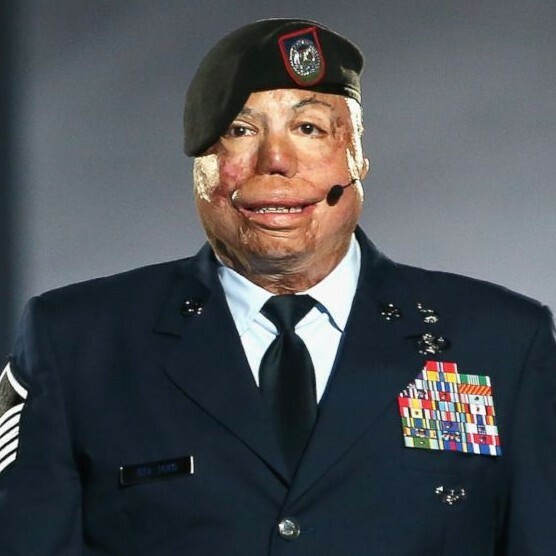 Israel Del Toro is an American Hero and Veteran. In 2005, US. Air Force Senior Master Sgt. Israel Del Toro, Jr. was severely injured when his Humvee hit an IED in Afghanistan. He lost most of his fingers and suffered third degree burns on more than 80% of his body. He spent nearly three months in a coma. Doctors told Del Toro that he had a 15 percent chance of survival and that he’d likely never walk or breathe on his own again. Del Toro used sports as part of his rehabilitation and overcame those odds, becoming the first 100 percent combat disabled Air Force technician to re-enlist in the military. Del Toro was awarded the Pat Tillman Award for Service at The Espy's in 2017.